Sterling illustrator Jess Baer creates endearing pet portraits with oil on masonite as well as watercolor with ink. She paints amusing and playful depictions of our best friends, which capture the animal’s personality and charm. Focusing mostly on dogs of varying breeds, these portraits pay tribute the owner’s love and devotion that can only be felt through these kind of bonds. 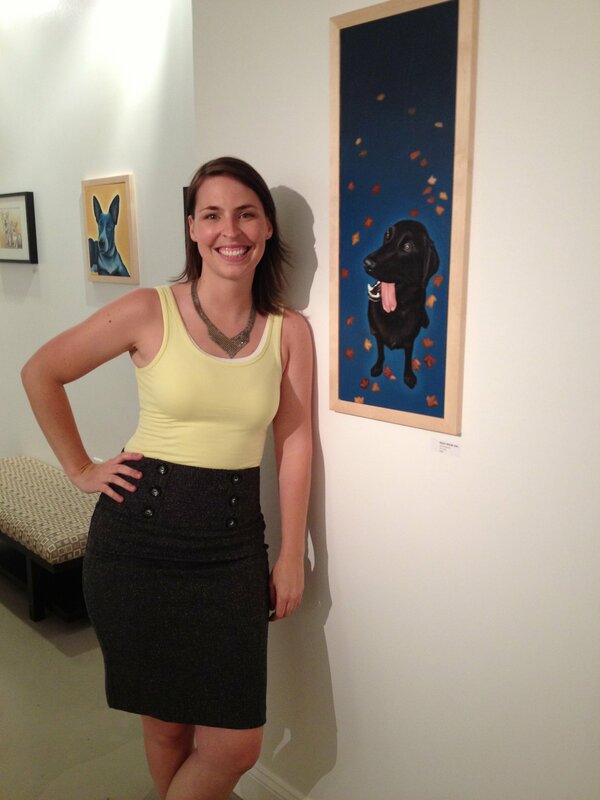 Jess Baer graduated from Mass College of Art and Design in 2007 with a BFA in Illustration. She is originally from West Bridgewater, Ma but has resided in Sterling since 2016. Prices reflect the original painting, frame not included.